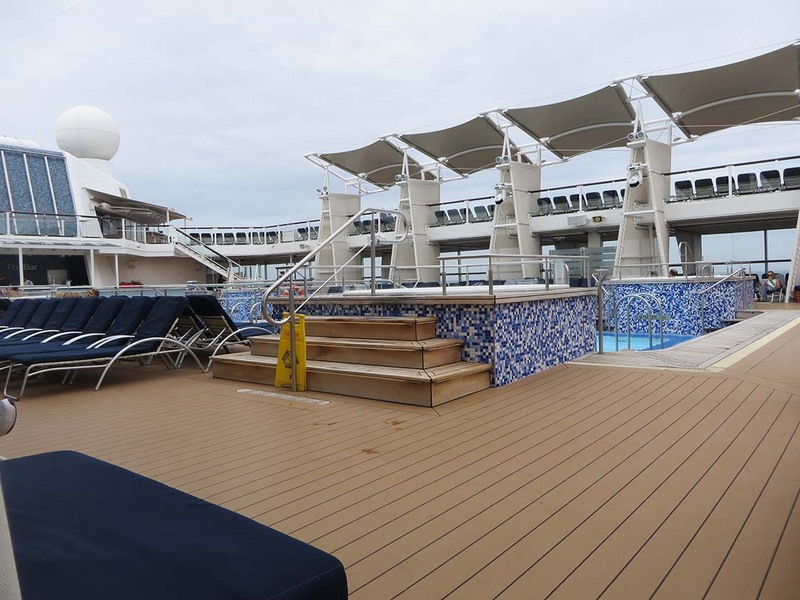 Just came back from a 10-night solo cruise to the Mediterranean on the Celebrity Equinox — and it was great. 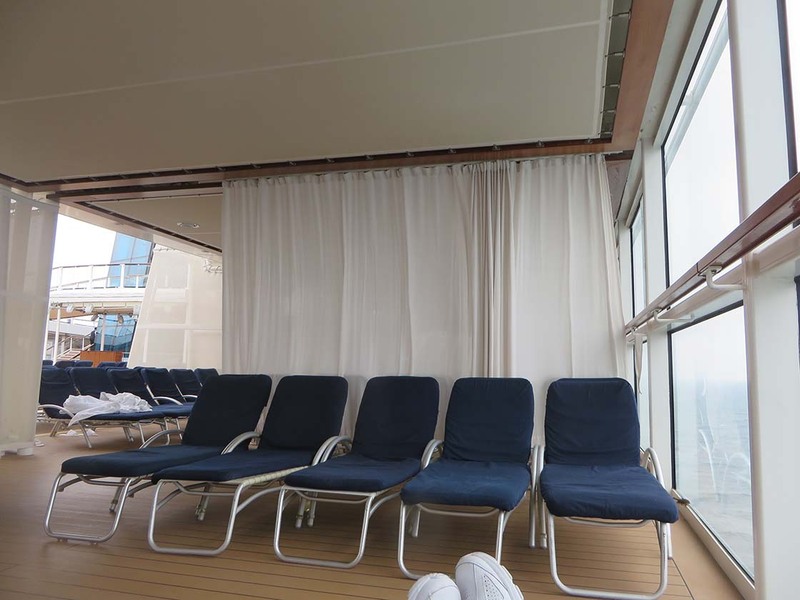 This ship, which holds about 2,800 passengers, is comfortable and lovely. The thing I’d read about and wanted to see first on the Equinox was the grassy lawn on the top deck — the Lawn Club. It sounded kind of “out there” on their website but when I saw it, it a half acre of grass seemed perfectly natural. 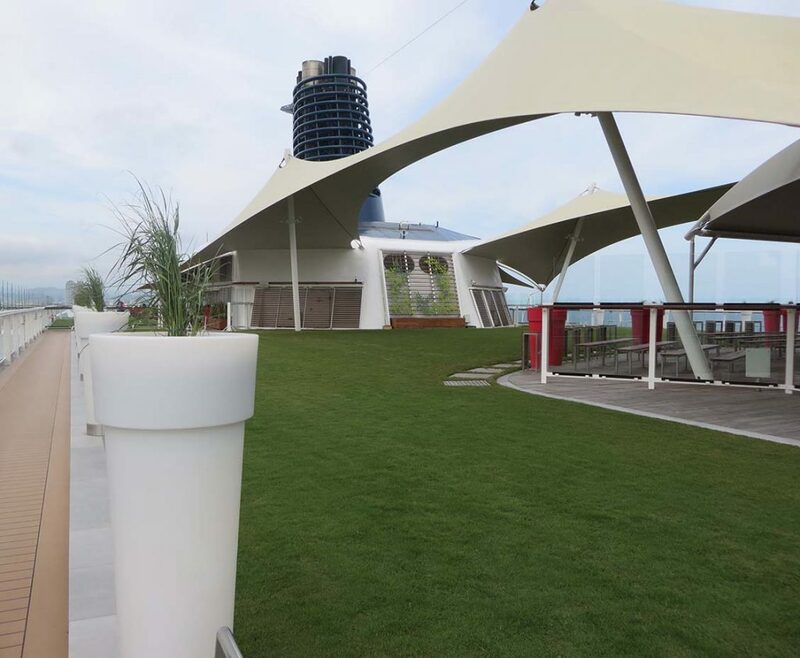 You could walk across the manicured lawn in your bare feet — a unique sensation about a cruise liner — and see the ocean beyond. Cool. During the week, the crew held various lawn game competitions there, too. 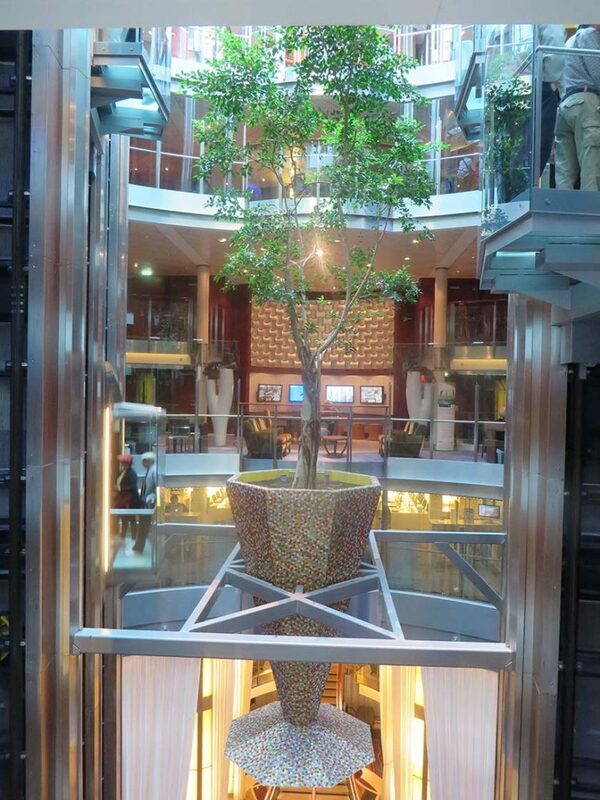 The center atrium of the ship, complete with glass elevators, was elegant and gorgeous. Big gold letters were affixed to one wall that read, “Here Comes the Sun,” an inspiring thought as you glided up and down. The library — which looked like it belonged in a mansion — was visible through the atrium’s glass walls, and a band and guests dancing were on the ground floor in the center. The music wafted up, making it pleasant to sit in the library and read while listening. And 50 feet up from the ground floor, a huge tree was suspended in the center of the atrium — kind of funky and mesmerizing. iLearn classes were offered almost daily in the Internet cafe for folks wanting to learn about iPads, iPhones and more. The travel manager presented 15-minute previews of the next day’s port highlights every night. I went to every one and found it extremely helpful to get the lay of the land in advance and know how far the port was from shopping areas, how to get around, etc. At the first night’s talk, I learned that the cabin contained a compact umbrella for guest use — which was extremely valuable, since it rained several days! (It was hanging on a hanger the closet, but I hadn’t noticed it.) Great idea. The Sky Observation lounge had a phenomenal view. During sailaways when it was too cold or windy to go outdoors, sitting in the plush chairs next to the enormous windows and watching the ship head out to sea was very nice. Many of the outdoor common areas were covered with canvas canopies (like the kind you see in Australia, if you’ve been there), providing some shade without making you feel closed in. And the plush deck areas in the shaded space around the main pool were separated by gauzy curtains, giving the feeling of being in a private cabana. Several cushioned chairs-for-two were available for couples who wanted to catch some rays together. Next to the pool was a fun splash fountain for kids or adventurous adults to frolic in. 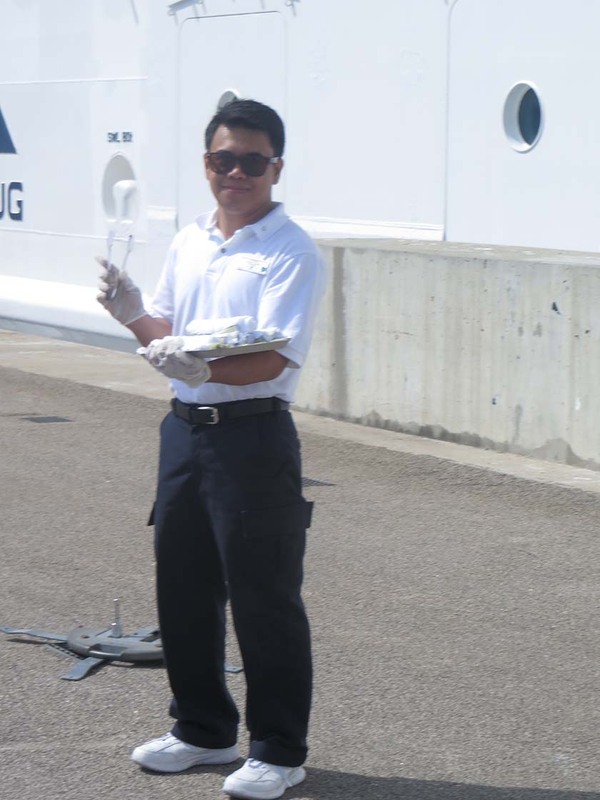 Equinox staff members offered wonderful ice cold washcloths and ice water with fruit every day when you returned to the ship from shore excursions. For those who can’t bear to “unplug,” a $199 continuous Internet package was available (for one device) during the entire cruise. I saw quite a few people using their phones aboard ship, too! The entertainment on this ship was top-notch, in my opinion. The production shows that many people like put me to sleep, but they only had them two nights, and the other nights were filled with comedians, jugglers, Motown singers and shows I really liked. The comedian/juggler was the best show I’ve ever seen in 15+ cruises. And the theaters weren’t packed, either — so that you could run in at the last minute and find a seat. 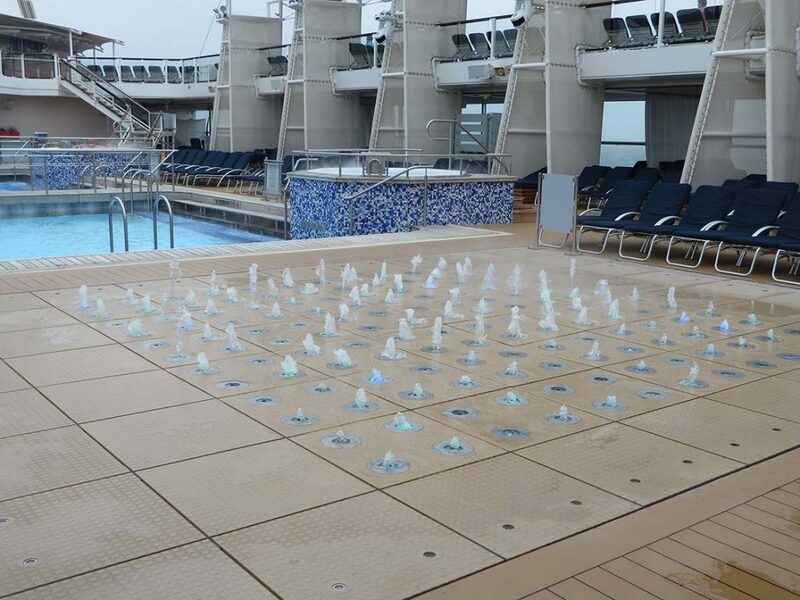 If you’ve been on Celebrity Equinox, too, feel free to share your opinion here! 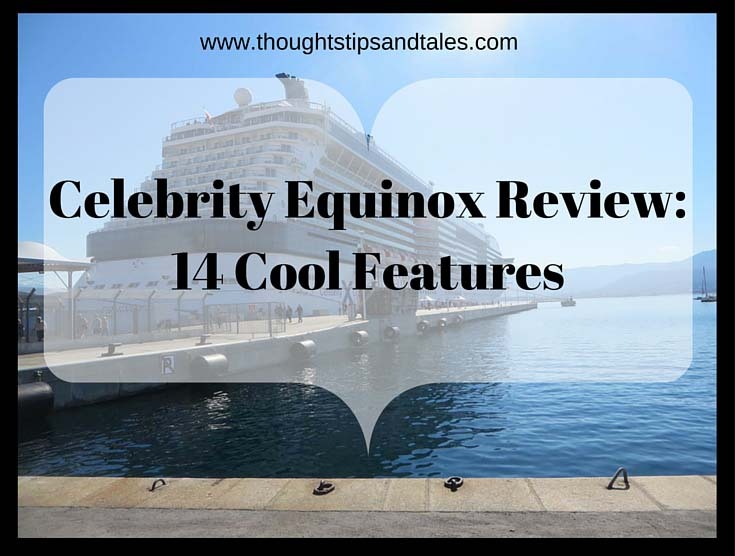 This entry was posted in Celebrity Equinox, cruising, cruising solo, travel and tagged Celebrity Equinox, Celebrity Equinox review, cruising, cruising solo, travel. Bookmark the permalink. This sounds so nice, and looks beautiful and comfortable in the pictures. It was great! And the ship was so nice.